During the relocation boom (years in which Spanish companies moved production of both footwear and clothing to Asian and African countries), JOSE SAENZ always opted for entirely national production within its own facilities, thus generating local jobs and wealth. Designing, manufacturing and distributing the product from our company allows us to closely control the entire process and place greater emphasis on quality, adding value to the product. We are able to respond to the needs of our customers much more quickly. We have a great response capacity which helps the client when choosing their samples. On the other hand, the JOSE SAENZ collection could be classed as AN A LA CARTE MENU and not A MENU OF THE DAY. The options are extensive and complex, with customisable materials and finishes, and the option to manufacture according to the needs and tastes required by our distinguished clientele. 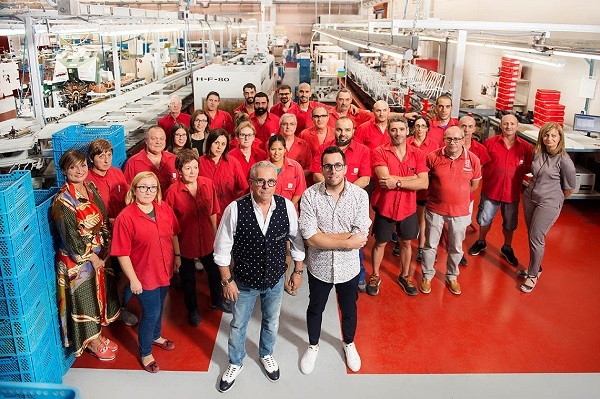 This will often make our flexible manufacturing more difficult and meticulous but, thanks to this, a JOSE SAENZ shoe is a first-rate product with a unique design and the guarantee of a perfect finish and maximum comfort.